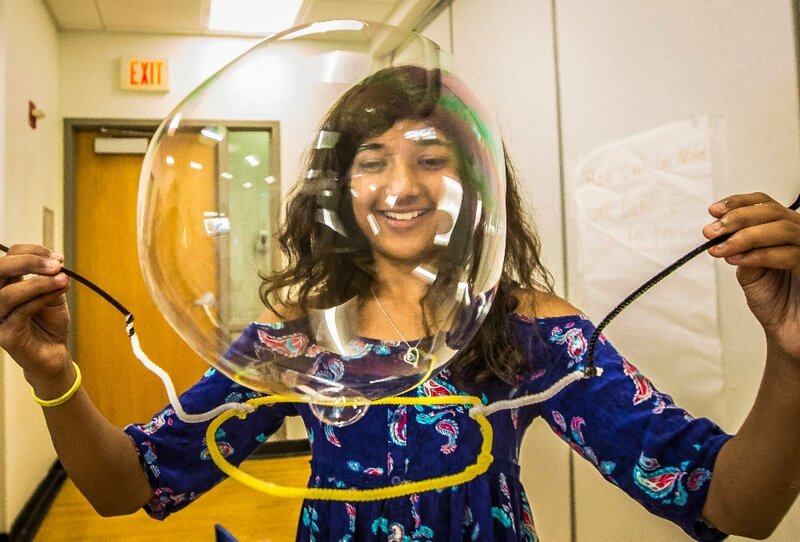 For the first time ever, hands-on engineering was part of the city’s summer school programs. 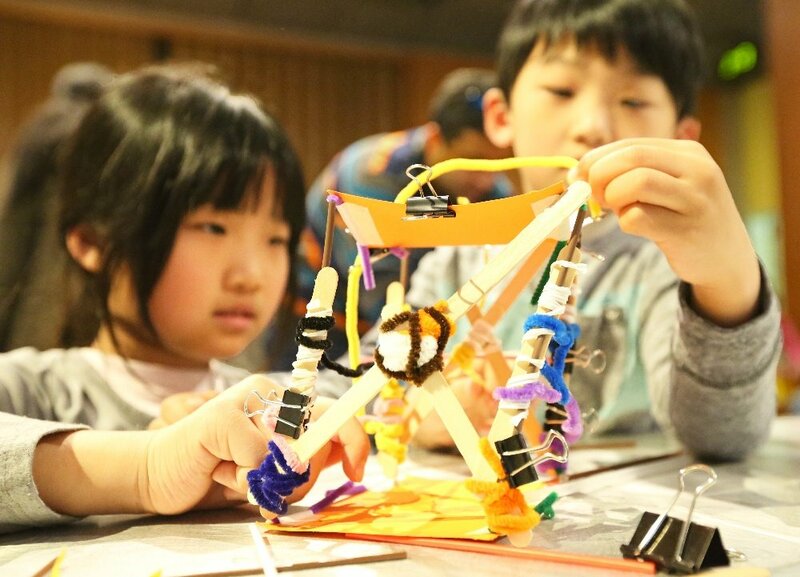 Thousands of students boosted their STEM skills (and their understanding of what it’s like to be an engineer) by learning with Engineering is Elementary’s out-of-school-time (OST) curricula Engineering Adventures and Engineering Everywhere. If you’d been able to poke your head inside a classroom last month at, say Fairmont Neighborhood School in the Bronx, or P.S. 006 in Brooklyn, you might have seen kids using recyclables to design toy race cars, or designing model space rovers, or one of the other real-world OST challenges created by EiE. “We chose the EIE curricula for our summer programs because they foster global awareness and necessary 21st century skills while being engaging for both teachers and students alike,” says Nancy Wood, director of technology and engineering for the NYC Department of Education. 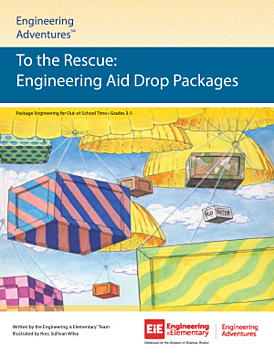 Fourth grader Baseer Mirza found inspiration in the Engineering Adventures unit To the Rescue. “In school he learned to make a little parachute pack to drop food or medicine from an airplane after an emergency,” says his mother, Salma Mirza. “This lesson made him wonder about making something similar for home use. The New York Department of Education used EiE’s OST curricula in two separate summer programs. 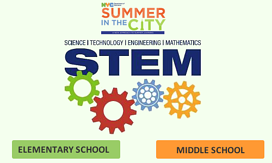 “Summer in the City” is a mandated program for students who need to do additional work over the summer to meet the promotion standards for their grade; “STEM Summer in the City” is a free, elective program for 2nd–10th graders that offers a mix of weekly science and engineeirng challenges along with enriching arts activities, exercise, and trips to New York cultural institutions. Both programs operated at schools in all five boroughs (Bronx, Brooklyn, Manhattan, Queens, and Staten Island). By the way, while our out-of-school-time programs supported New York’s summer schools, our flagship in-school curriculum was also getting a summer workout! EiE was used in a program for students with special needs that operates in 27 schools around the city, reaching thousands more students. 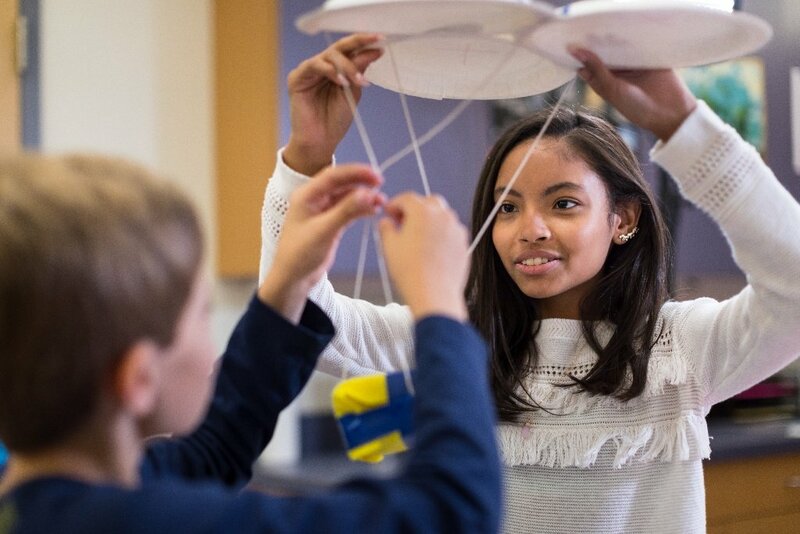 For many elementary and middle school teachers, engineering is an unfamiliar subject, and the idea of teaching it can seem daunting. To help summer school educators feel comfortable and well prepared, EiE professional development providers traveled to the city to facilitate workshops. 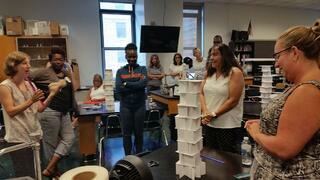 A total of 75 Borough Instructional Learning Specialists (50 elementary educators and 25 middle school educators) completed an EiE workshop that, using a “train the trainer” model, prepared them to support the approximately 2,000 teachers who led engineering activities for “Summer in City” students. Elissa Jordan is one of the EiE staffers who facilitated the workshops. 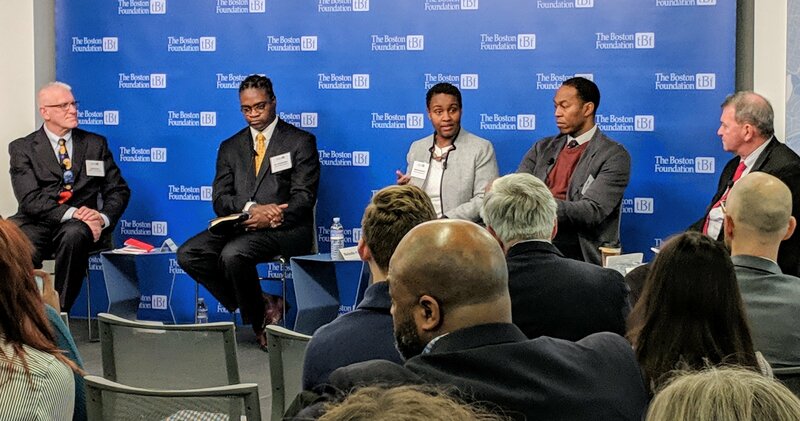 “Some of the teachers who attended were already familiar with our in-school curriculum [Engineering is Elementary],” she says, “so they were really excited to try our two out-of-school-time programs—and to see how both curricula meshed with the goals for summer enrichment. Learn more about EiE’s out-of-school-time curricula!